Back in February, I told you about the ARPG Last Epoch which is being created by one of our long-time site visitors and today his studio Eleventh Hour Games have just launched their Kickstarter. 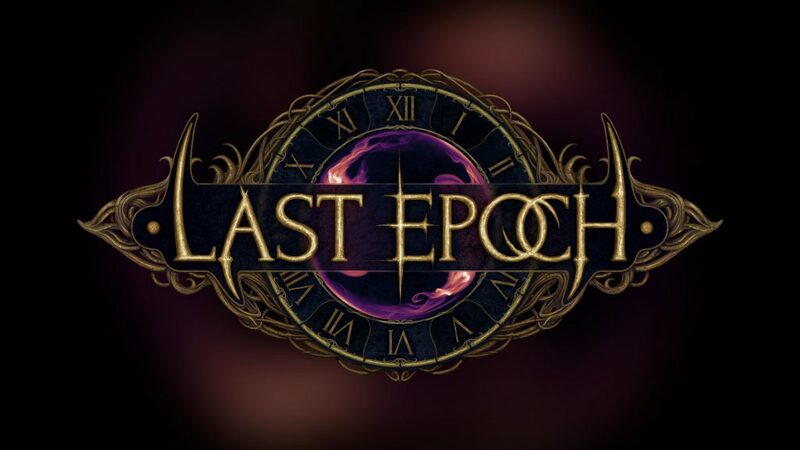 The Last Epoch team is looking to raise a fairly reasonable amount of £146,485 to get the game done and dusted ahead of a beta in 2019. To coincide with the Kickstarter launch, a new lengthy demo has also been released an I took it for a spin earlier today and was suitably impressed with what’s been created so far. To fill you in on what to expect, here’s some backstory, a features listing, and a new Kickstarter video. If you like what you see and have tried the demo (available on the Kickstarter page) then add funds to the campaign. You start your adventure by choosing one of five classes: Knight, Mage, Rogue, Primalist, or Acolyte, and soon evolve into one of ten mastery classes: Beastmaster, Bladedancer, Void Knight, Paladin, Sorcerer, Spellblade, Marksman, Druid, Necromancer and Warlock. Hacking and slashing your way through different eras, it is up to you to save Eterra from The Void. And of course, collect as much loot as possible. I have to admit, this looks slightly promising! Yeah! I’ve been following this project since I first found out of it from this site a few months back. I played the demo and they really do have lots of things to do, but the concept seems interesting as well as the itemisation and the skills also. Pledged a small amount on kickstarter. Hoping for the best, as we cannot have too much isometric hack’n slash with deep mechanics. Been playing their demo releases for several months. I think this is a very talented team with a ton of motivation. They have my support. Looking forward to the end product. I know there a few ARPG games on the horizon but I do like what I see on the one. Some may not like the clean look / graphic of this game (not gothic enough), fair enough I guess. I’m fine with that, no need to completely ape the Diablo series. According to the KS time line of release, it’s got a long way to go (spring 2020). Throughout the story, you will travel to four distinct eras in time and see how each zone changes throughout the ages, each change bearing lore implications that will keep you invested in the setting. In Last Epoch you will see the story unfold across four distinct eras in time. The Ancient Era, a world unmarred by man, primal and wild. The Divine Era, an age of glory and strife where the gods have come to blows. The Imperial Era, where the dead hunt the living, unwavering in their desire to unite humanity under the Immortal Empire. Finally, the Ruined Era, where hope has been quelled under an infinite tide of Void.